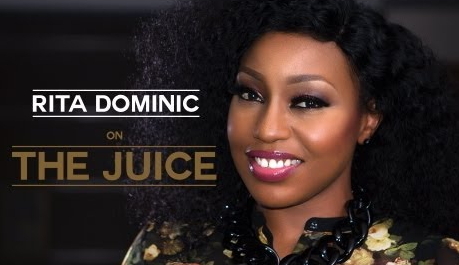 Believe it or not Nollywood beauty queen Rita Dominic might be getting married soon. The winner of the best actress of the year award at NEA 2013 in New York recently grant an in-depth interview on Ndani TV. Rita who secretly suffered an heart break in her last relationship gave Toolz an hint about her romance life. The actress also claimed she is a shy person and has suffered two major heartbreaks. According to sources, Rita Dominic is taking her time with men in order to avoid another heartbreak. Rita Dominic is looking fabulous at 38. Toolz is a professional amebo. See the way she is questioning that shy lady. Dear u are the best, take yr time and God will give u some good. I pray so dat, may ur dream becum tru!! Dis is gud news darling. Am so hapi 4 u. Cngrat. Ritty darling, i wish u d very best in life! Love you rita, live your life and do the right thing. Marriage is not the ultimate. Iam very happy for you and i wish you best of luck in jesus name. But, dont behave like some noolywooder that walk in and out of marrige. My angel take your time and most importantly pray for God to choose for you, You know what’ when God choose for you, you will not regret it or have any problem. I can’t wait to see that day. wishing you Good luck as you make your choice of a husband. Wow! That’s good news Rita. I wish u the best dearie. the other actress out there. please enjoy your life girl. your are God creation, these people are not you and they can never be like you.ok just enjoy. I wish am a man I should have married her 10yrs ago.I really love this lady not bcos she a celebrity,I can’t stop smiling since they broke this news am more excited than her.d guy is a very lucky man.love u baby. Oh! Great, darling Rita am glad. Congrt as u sail through marriage ship. So happy for u love, u Α̲̅я̩̥̊ε̲̣̣̣̥ d̶̲̥̅̊ best. Iam angry that someone actually replied to that idiot that called rita ashewo,we should be ignoring such comments, they are irrelevant and trust me honey they should be ignored, rita dear u are blessed and whether u marry or not, u are the best doll.I love your shoes though and am a shoe lover like u.pls rita, how many shoes do you think a lady should have and also I love wedge trainers and am in my 3os though married with kids, is it appropriate rita. I wish u all the best in your engagement, am happy for you.